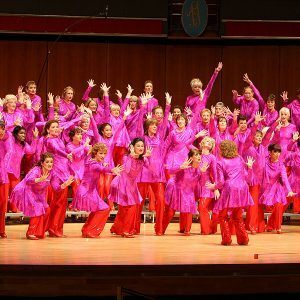 Surrey Harmony wows audiences everywhere they go! Surrey Harmony performs at a wide variety of events and can offer something to suit every occasion, from a quartet, to a small or large chorus. Our wide ranging and adaptable repertoire includes songs from Elton John, Annie Lennox, Queen and Abba, and is always guaranteed to entertain. Whether it’s a charity fundraiser, private party, concert series, dinner dance or garden party, we are sure we can provide music to suit your requirements and dazzle your guests. Surrey Harmony is the perfect way to entertain your guests on your special day, either during the signing of the register or the drinks reception. We can bring a package of romantic ballads and humorous numbers that will delight and amuse. 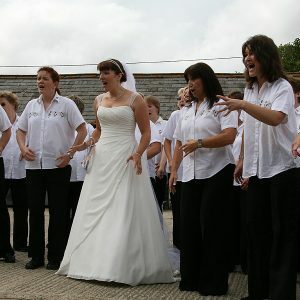 See our ‘Weddings’ page for more information about songs and costs. Surrey Harmony are guaranteed to entertain, so why not book us for your next do? Reduced rates are available for registered Charities.